Neurocare has launched a lifesaving research funding appeal to find better treatment for a deadly form of brain cancer. We need £70,000 to fund the final year of a revolutionary three year project to find a better treatment for glioblastoma. Glioblastoma is the most common high grade cancerous primary brain tumour in adults, which has a devastating impact on the cognitive, physical, social and emotional wellbeing of a patient. Scientists hope to extend the life expectancy of patients with the disease, which currently averages at 12 to 15 months. Findings from year 1 and 2 of the project have been extremely successful, with the charity now appealing for donations to enable the research to continue. 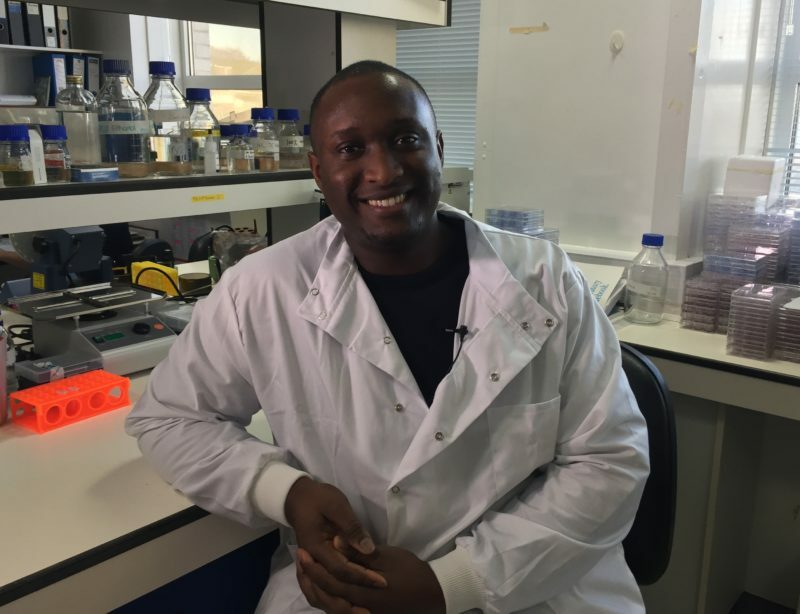 Mr Ola Rominiyi at the University of Sheffield’s Department of Oncology & Metabolism, is leading on the research supervised by Dr Spencer Collis. He said: “Brain tumours are responsible for the loss of 5,000 lives every year in the UK. Of these, glioblastoma is the most common and aggressive cancer arising from within the brain. “Current treatment methods involve surgery to remove as much of the tumour as safely possible, followed by chemotherapy and radiotherapy. In spite of this, sadly most people diagnosed with a glioblastoma will only survive between one to two years. “There are many reasons for this, but it is becoming very clear that the way we use cells to mimic or ‘model’ cancer in the laboratory is an important factor in helping us to understand the disease. Ola’s research uses part of the brain tumour taken away during surgery to grow 3D glioblastoma cells in the laboratory. These cells are then used to investigate some new anti-cancer compounds, alongside other drugs that have been approved or are in clinical trials for other types of cancer. DNA after damaging treatments such as radiotherapy or chemotherapy. “Any cancer cell that is unable to repair damaged DNA is unable to survive. In view of this, we have investigated a particular way that cells repair damage called the ‘FA pathway’. Our work shows that this pathway is more active in glioblastoma, and that patients who have higher activity in this pathway have a poorer outcome than other patients. “So it seems realistic that reducing FA pathway activity could lead to better outcomes in the future. “Our ability to generate 3D models of glioblastoma from patients efficiently in the laboratory will allow our research findings to be progressed into the clinic more quickly. “Although it will take time – potentially 5-10 years – we are very hopeful and excited by the possibility that, one day, the combination of treatments we’re researching in the laboratory will benefit patients in the South Yorkshire region and beyond,” Ola added. Patients with Glioblastoma develop symptoms rapidly due to mass effect from the tumour itself or from the fluid surrounding it that causes further brain swelling. Common symptoms include nausea, vomiting, and severe headaches. Patients can also present with neurological symptoms which are dependent on the tumour location, for example, weakness or sensory changes of face, arm or leg, balance difficulties and neurocognitive/memory issues. To help Ola and his team continue this vital research for patients with glioblastoma, visit www.neurocare.org.uk/what-we-do/neurocare-projects/glioblastoma-research/.